They came to call Don Williams “the Gentle Giant” in the decades he was a dominating country hit maker because of his unique blend of commanding presence and that laid-back, easy style that has appealed to adult men and women alike—cutting across national and genre boundaries. Williams will be at the Meyer Theatre Tuesday, April 8, 7:30pm. If those personal and musical qualities stood out strongly across the 1970s, ‘80s and ‘90s, they are all the more distinctive now, when so many country and pop records seem to work as check off lists of somebody’s idea of how to be a man, or hard-sell attempts to indicate affection for a woman. The hundreds of memorable songs in his repertoire—over fifty of them major hits—whether contemplative ballads, affecting love songs or change-up rhythm numbers, have always been a core Don Williams strength and focus. Between 1974 and 1991, Don had at least one major hit every year, including such country standards to be as “ Good Ole Boys Like Me,” “Till the Rivers All Run Dry,” “It Must Be Love,” “I’m Just a Country Boy,” “Amanda” and “I Believe in You.” He also had a hit duet with Emmylou Harris on Townes Van Zandt’s “If I Needed You.” Don was the CMA Male Vocalist of the Year in 1978; his “Tulsa Time” was the ACM Record of the Year for 1979. In 2010, Don received country music’s highest honor, with his induction into the Country Music Hall of Fame. 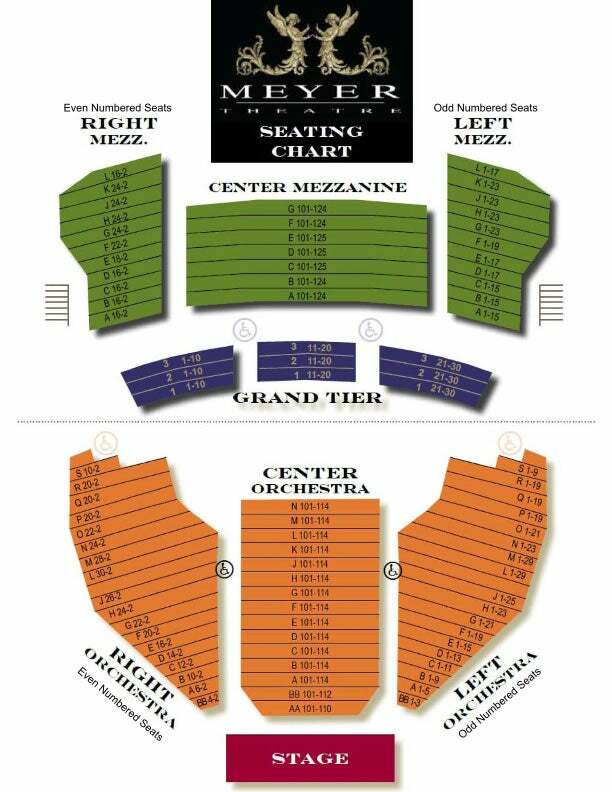 Tickets are $50 & $55 and go on sale Friday, December 6 at 11am at all Ticket Star outlets, including the Resch Center box office, by phone 494.3401 or toll free 800.895.0071 and online at www.meyertheatre.org. Reserved Seated event. Tickets are $55.00 or $50.00.